I enjoyed reading Donna's innerview, Cheryl. I will pray for the couple's new ministry. They sound like a power team for sure. I really get what Donna said about being passionate to see lives changed. It is exciting to help people when we can point them to the truth! I want to read her blog! Love and hugs to you, dear Cheryl, for all this encouragement! Thank you, sweet Mary! Your support and kind words mean so much! God bless you, my friend. Sending much love and many hugs back to you! Thanks so much for your love and prayers! Dear Cheryl and Donna, Thank you so much for sharing these testimonies here! I started following Donna's blog a few months ago, and I have really appreciated her willingness to stand for God's Word and Truth. What a miracle of God's Grace to bring her and her husband into a place of leading hearts to Jesus. 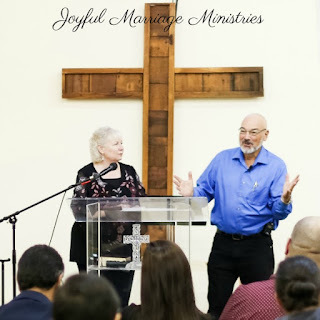 Their new marriage ministry sounds so good, especially as the Lord makes use of all that they have been through! I will be keeping them in my prayers! May God bless you both! Bettie, thank you so much for your love and prayers. I appreciate you reading along with me on Soul Survival. Your comments there are always a blessing! Cheryl, thank you so much for this sweet post and for sharing it here on your blog. I'll be praying for you, your family, and your ministry, as well. Donna. Thank you, dear Donna! I am SO thankful God worked it all out and allowed us to do this. His timing is always perfect. Your prayers mean SO much to my family and me, and you are an amazing blessing to us! Much love and gratitude to you, my friend. Oh, Cheryl! That is just wonderful how God uses dear Donna to minister to you. We are all so very broken, aren't we? SO much pain and hurt in all of our pasts, but praise God, He redeems our mistakes and forgives our sins and casts them into the sea of forgetfulness never to be remembered against us again. I am so thankful for His love and mercy and grace! I am so thankful for your kind words and loving support. You are dearly loved, too, my friend. Sending hugs and blessings to you! Congratulations on your almost 30 years. God truly does redeem all our messes, doesn't He! May God continue to use you mightily! Hi Dear Cheryl, I'm so glad you interviewed this dear sister in Christ; I'm heading over to her blog next. I love that with the Lord, nothing is wasted but everything is redeemed. What a strong testimony she has and I know it will encourage many. Oh, what a wonderful way of wording that..."with the Lord, nothing is wasted but everything is redeemed." How blessed we are that this is true! Donna's testimony surely is powerful, and I know God has even bigger things ahead for her in the continuation of her story and ministry. He is SO faithful! Sending much love to you and praying much for you, dear friend. Thanks for your kind words. All glory to God! Such a real and inspirational interview. The honesty speaks to my heart and I'm praying for Donna and her family. Thanks for sharing, both of you! Thank you, Floyd, for your kind words. Blessings! Thank you ever so much for your prayers and support, brother! God bless you. Praying for you! I so enjoyed your interview with Donna, Cheryl. What an inspiration she and her husband are for those people who desperately need need help and wisdom. God is working through them, and the journey they've been through, to encourage others. God bless them! Thank you, Kitty. Your words are a great encouragement! I agree...Donna is a huge inspiration to so many. Her life and outreach are such a blessing. Thank you for your sweet visit and kind words! a very inspirational piece of writing!!! I enjoyed this so much! So interesting to see how God delivers each of us in His own way. 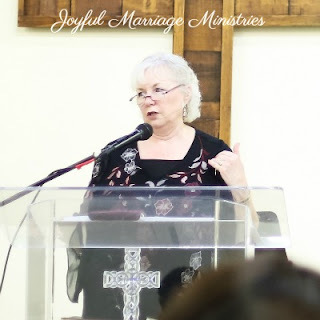 I pray Donna and her husband's marriage ministry continues to grow and helps many! Our culture has sold us all a boat-load of lies about marriage! My dear Donna, I was greatly touched by your candid and inspirational review. I agree with Floyd...your honesty spoke to my heart. I am truly amazed at the love God showers upon us and how He uses everything we go through for His good. There are things I look back on in my life and often wish I had made a different choice, but then the Lord will bring someone into my life that is going through the very same thing and it's something I can relate to. I love how the Lord gives me an opportunity to help and inspire someone. Thank you for sharing, dear Donna. 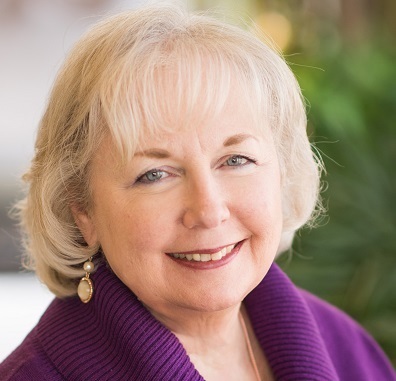 And thank you, sweet Cheryl, for allowing Donna to share her story on your blog. Love and hugs to you! And, thank you, sweet friend for your precious support, encouragement, and kind words! It always means so much to see that you came by! God bless you and keep you! Thank you to Donna for a lovely, grace-filled testimony. And to you Cheryl for being the means of us hearing it. Bless you both. God bless you, too, Kate! So thankful for your visit and kind words! I enjoyed reading this Cheryl and Donna. Time and again we are reminded that God always make beautiful things out of our lives when we turn our lives over to Him. Thanks a lot for sharing your life with us Donna... so much to learn from it. Thanks for publishing this Cheryl, have a super blessed day! Thank you, Ugochi! Thank you so much for your visit and encouragement! Sending many hugs back to you, sweet friend, and so thankful to see that you made it back home safely. :) I appreciate you so very much, too, and am eternally grateful for your friendship and support! God bless you!!! Cheryl, these interviews you do so all who come by your site can be blessed. Hi Cheryl, I love that you give people a platform to share what the Lord has done in them and for them, and how they in turn are sharing their love for the Lord. Thank you so much, Tracy! I am so grateful for you and your encouragement, my friend. God bless you! Cheryl - such an encouraging post! I've seen this same 'story' played out many times through our years in ministry and am constantly in awe of how God can take broken pieces and create something that brings glory to Him! What a beautiful story of what the Lord has done and their desire to serve Him. Looking forward to checking out her blog. Thank you, dear Lauren. I am continuing to pray for you, and I am trusting Jesus to hold you extra close during this difficult time. I am so thankful for your encouragement. God bless you! That was fun to learn more about Donna! Thanks! Thanks for your visit, Amy!